As I heal, grow and evolve, I’ve gone from being an affirmed atheist at twelve years old, to becoming firmly and richly Spiritual in my beliefs. I’ve learned to embrace, have faith in and profound trust in a power bigger than myself. Some call that power God, some (like world famous speaker Mike Dooley) call it The Universe, some refer to it as Source or Spirit. In my deeply moving and inspirational discussion with Lynn Baber, I’ve found a kindred soul. We share a deep, heart centered belief that the Divine is very active behind the scenes of our lives. That Force guides us, blesses and teaches us, and is mirrored through our animals. Whatever your belief is, I know you’ll find much to celebrate in our discussion that will help you wherever you are in your life. Enjoy! Lynn Baber reduces complex issues down to matters of simple choice, whether the topic is faith, relationship, animals, politics, or society. After a career as both a business and equine professional, Christian author Lynn Baber retired as a National and World Champion breeder and trainer, having judged horse shows in both the United States and Europe. Lynn’s work centers on Transformative Relationship, Worthy Leadership and building faith to overcome fear. She openly shares lessons learned through personal experience with domestic violence, hopelessness, serious family illness, failure, perseverance, success, and becoming fearless. 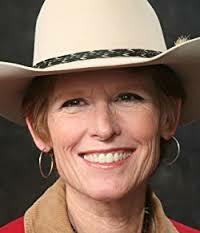 A Director of Amazing Grays Ministry, Lynn teaches under the brand Christian Horse Training. She lives in Weatherford, Texas, sharing the barn with her husband, six horses, three dogs, three cats and two goats. Lynn teaches that nothing is truly important if it doesn’t involve relationship with someone else. Transformative relationship is the treasure at the end of the rainbow. All seek it but few find it. 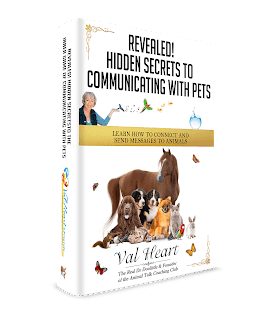 Relationship with animals – and horses in particular – is the best treasure map available on earth because animals never rejected God’s plan in favor of their own. Animals live in the real world, not the virtual world we see around us. Animals, unlike people, don’t lie to themselves or each other. Transformative relationship is, by definition, transformative. Spirits, lives, and vision are changed. Such relationships are based on simple foundations, but “simple” and “easy” are not synonymous. 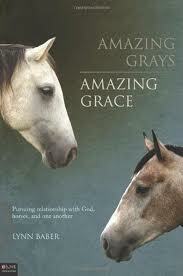 Why did you write your book Amazing Grays, Amazing Grace? What is the similarity between the relationship with your horses and the one you have with God/Spirit/The Universe? What have you learned about the habit of success or failure? What can we learn from our horses about living our purpose? What is the relationship between faith and fear? Visit their website www.AmazingGraysMinistry.com for lots of free articles.